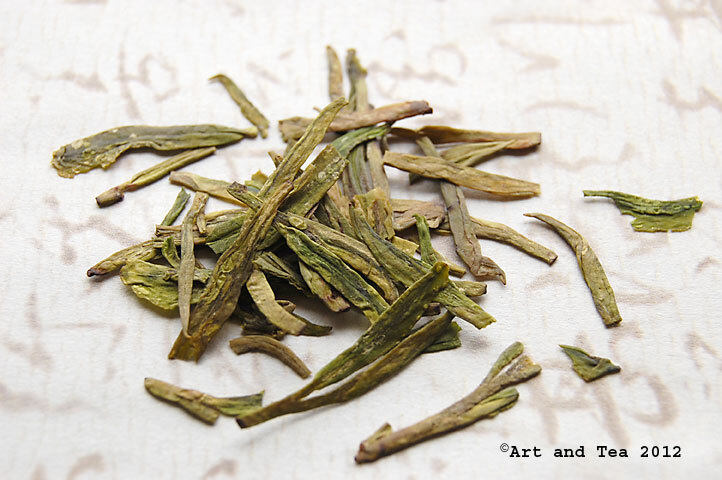 Lung Jing (Lung Ching, Long Jing) tea has a distinctive flat shape due to its unique processing. This flat shape is intentionally caused by the motion of the charcoal pan when the leaf is heated/fired to stop oxidation. Its name means “Dragon’s Well”, referring to the place where it has been traditionally grown. Legend has it that a Taoist priest in the 3rd century advised the local villagers to pray to the dragon of a local well to bring rain and end their drought. It worked and the well was named after that dragon. The Dragon’s Well monastery still stands in that spot to this day. 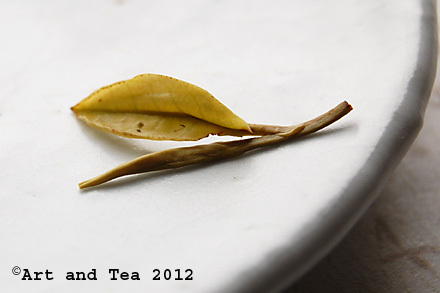 I steeped the leaf for 3 minutes in 180F water. 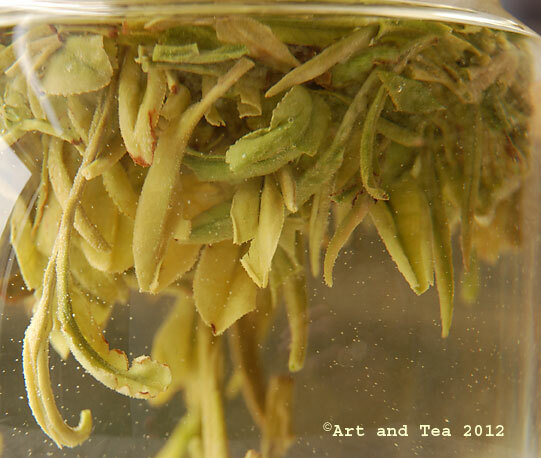 After steeping, the leaf softened and revealed the beautiful, individual bud sets of this fine tea. 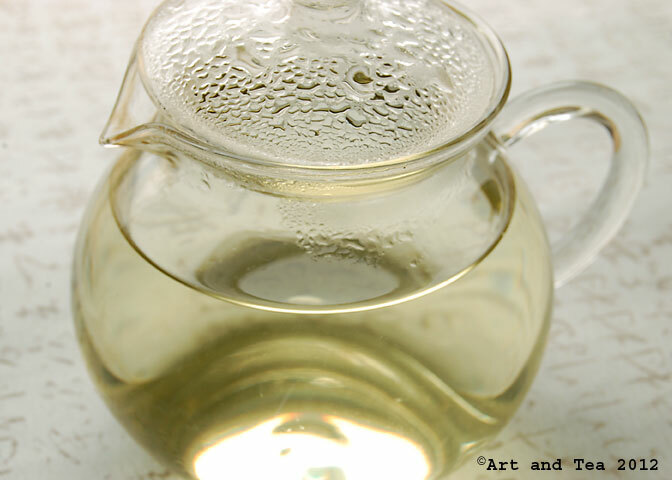 The pale yellow-jade tea liquor has a nutty aroma with a light vegetal undertone. The flavor is clean and refreshing with notes of chestnut and sweet baby corn. The smoothness yields to a whisper of tang in the finish. 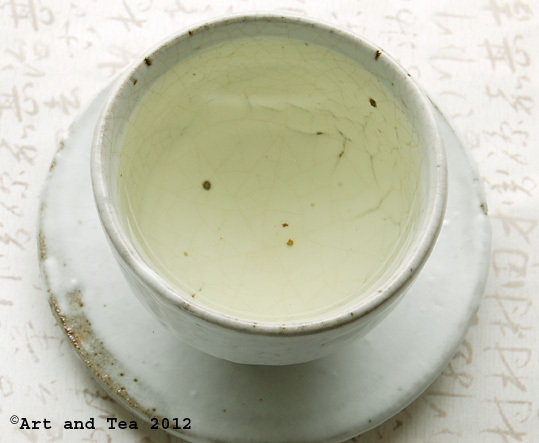 I could drink this lovely green tea all day. I pulled out my Volmod Ceramics tea bowl to hold and honor this most excellent tea. I purchased it on a trip to Saugatuck, MI with my parents a couple of summers ago. So, not only do I get to enjoy a delicious tea this morning but in holding my tea bowl in my hands, I remembered some warm and wonderful memories.